This week we are showcasing Art Impressions Products. You don’t have to use them for the challenge but if you have them we would love to see them used. 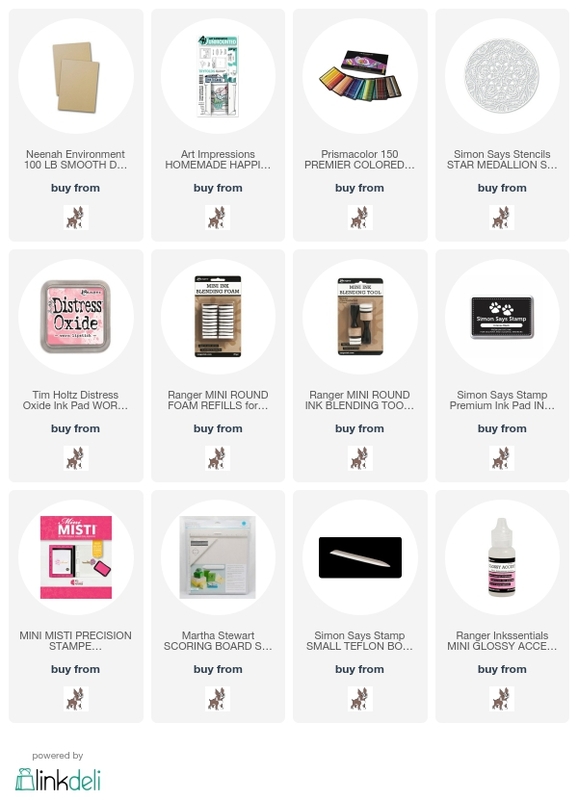 Art Impressions Products are very unique and innovative. I also love their quirky ones. 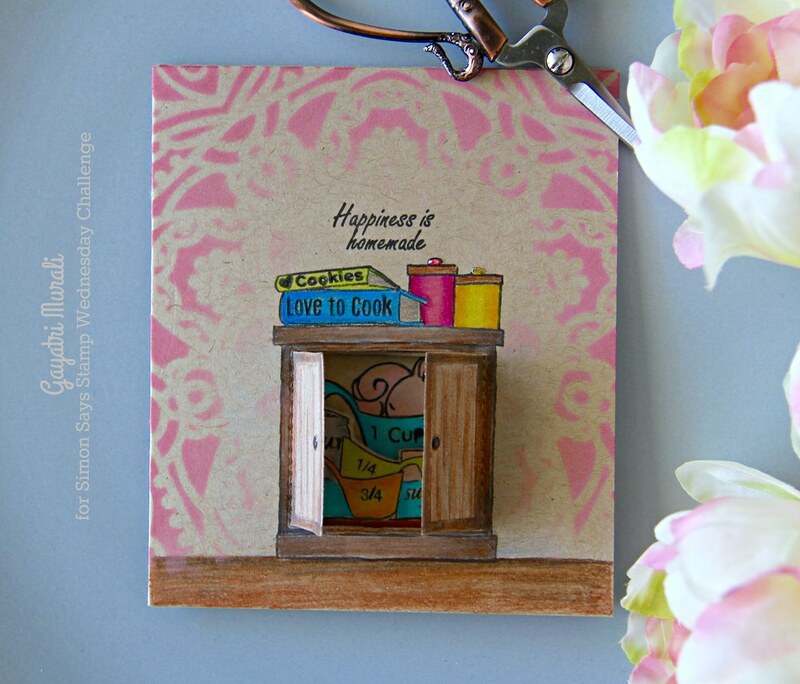 For my challenge today, I used Art Impressions Homemade Happiness mini trifold stamp and die set. 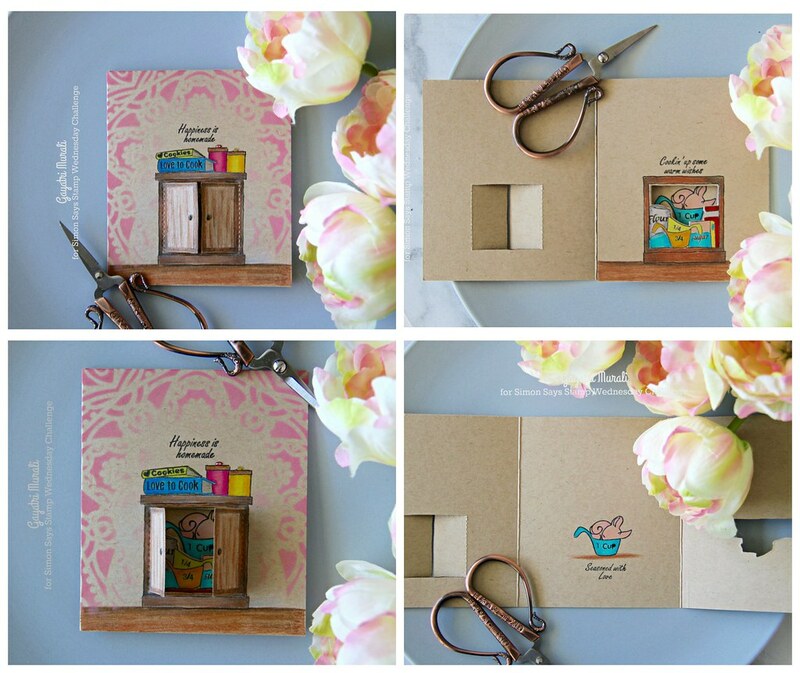 I love the trifold and the innovative use of stamp set and dies to see through from panel one to panel three. Here is the front view of the card. Here the door of the cupboard opens to see the utensils and groceries inside. Open the panel one to see the stamped and die cut image. I used Prisma colour pencils to colour the images. Love the pencils on kraft cardstock. And here is the second panel opened to reveal the entire card inside. 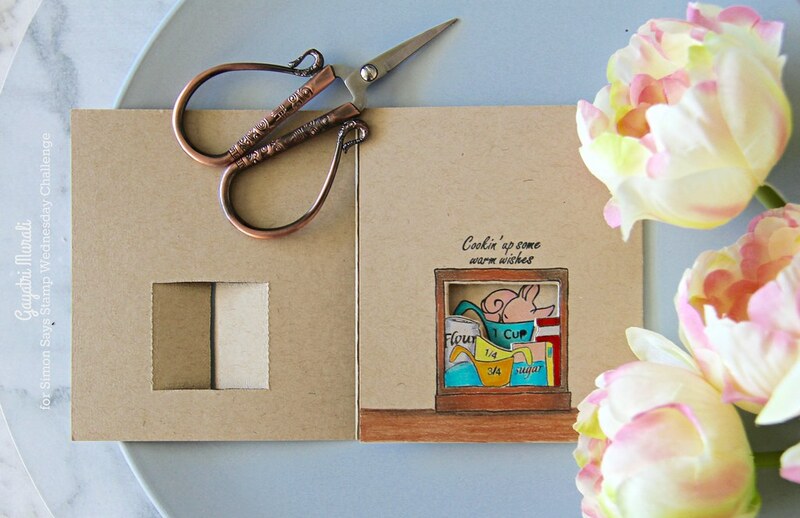 How cute is this trifold card? I am in love with this type of card and Art Impressions stamp and die sets make it so much easier to make. Hope you like it. 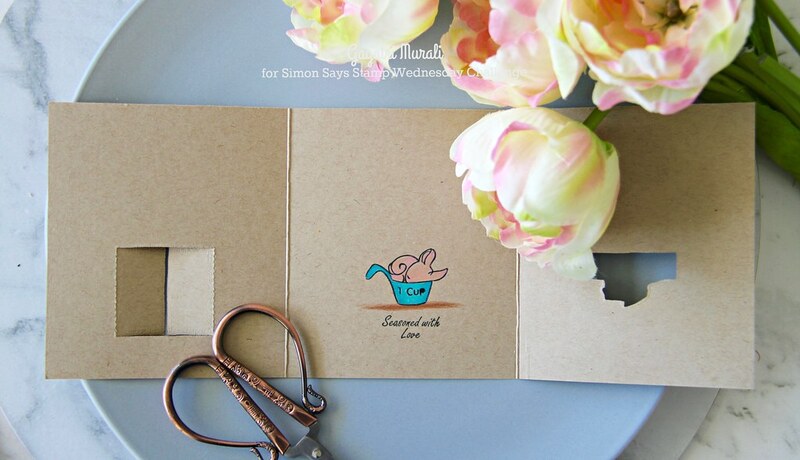 All the supplies used to make this card is listed below. The pencils on kraft really pop, Gayatri! What a fun card!! 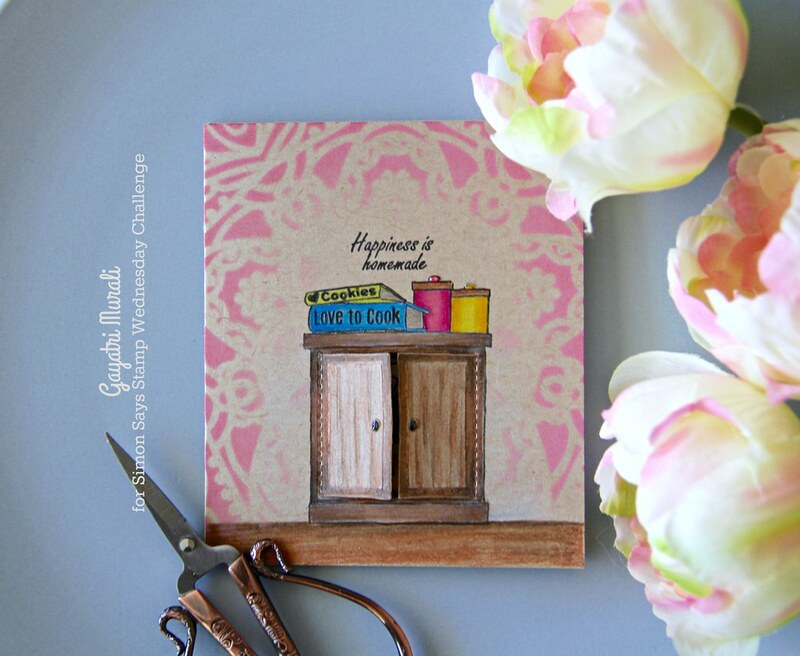 What an amazing card Gayatri! So much work and detail went into it, wow! Bravo!